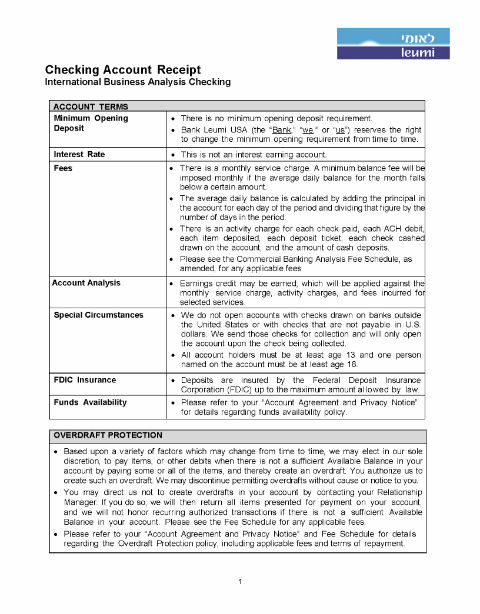 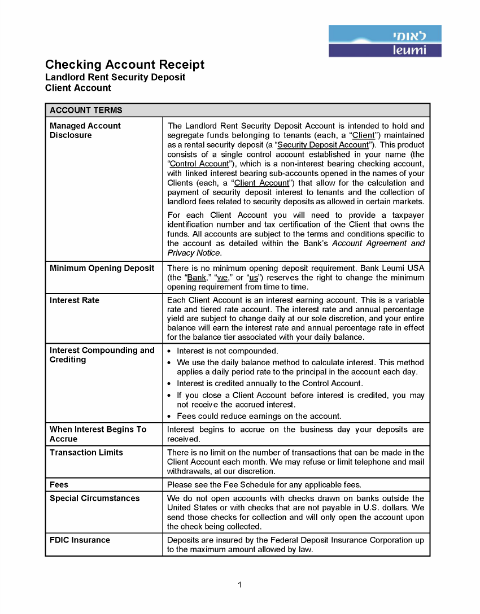 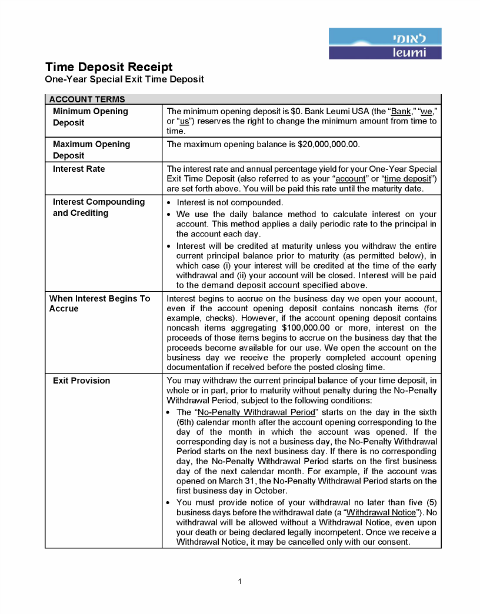 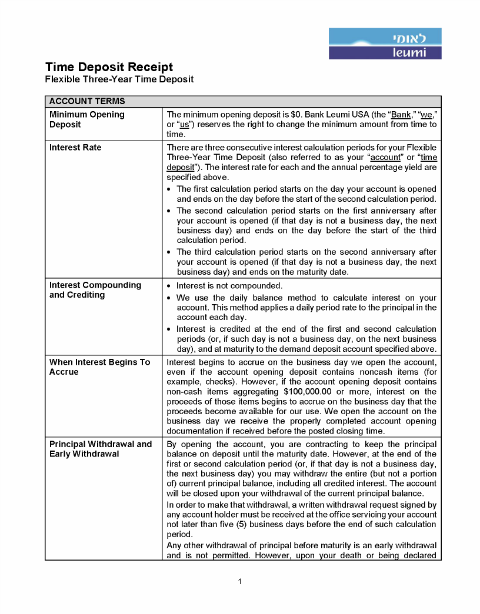 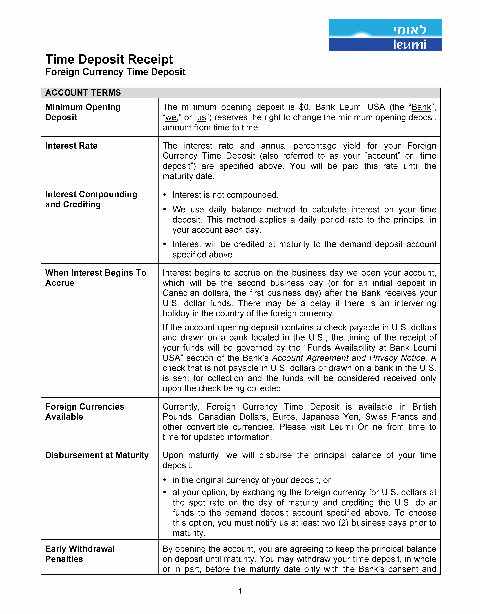 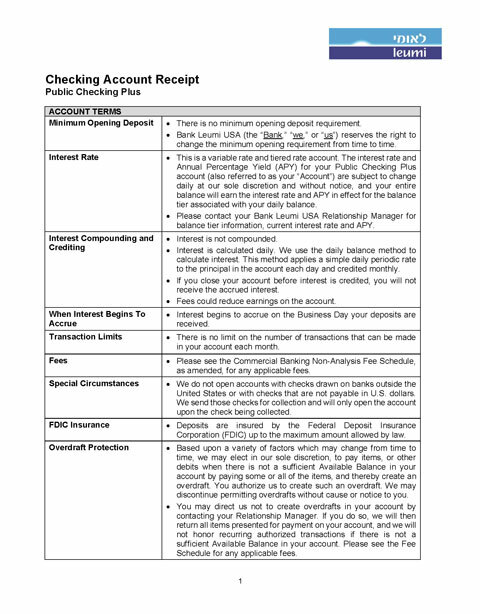 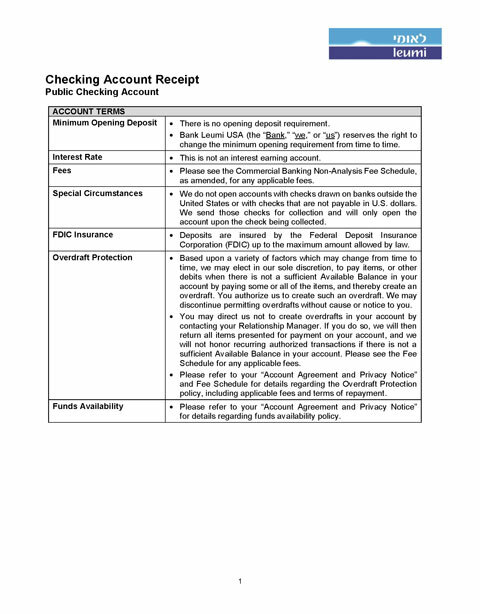 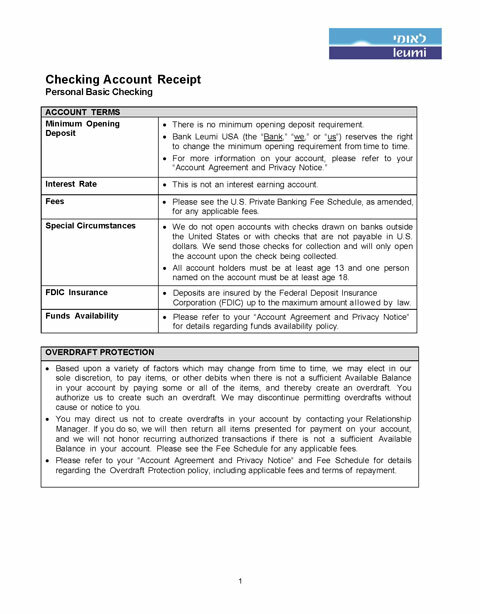 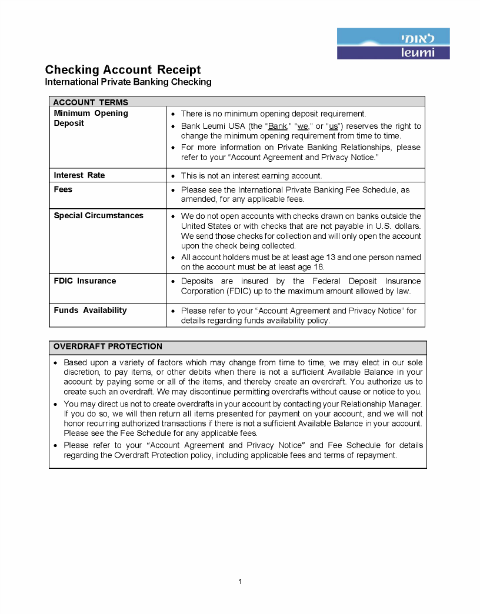 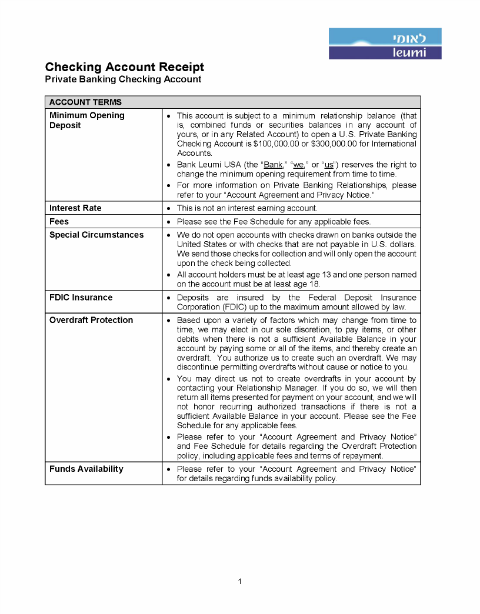 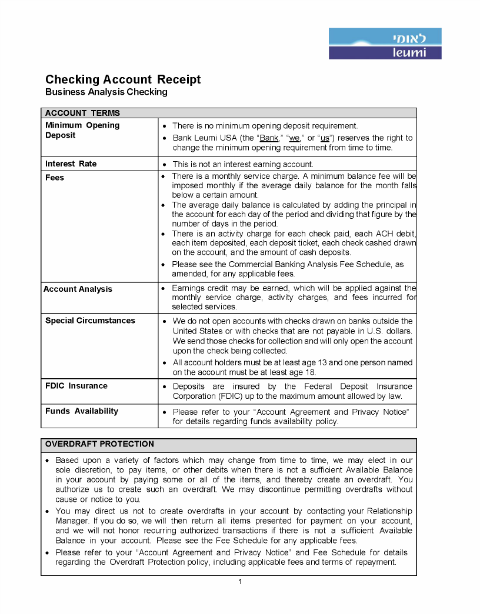 The Account Agreement and Privacy Notice (“Account Agreement”) contains important legal information, disclosures, and terms you should know about your accounts and relationship with Bank Leumi USA (“Bank Leumi”). 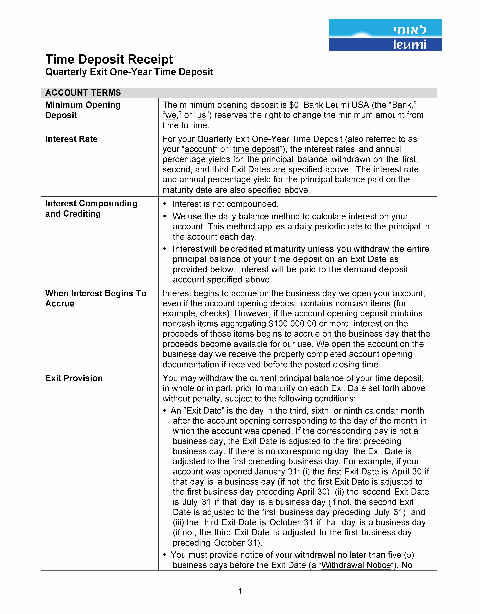 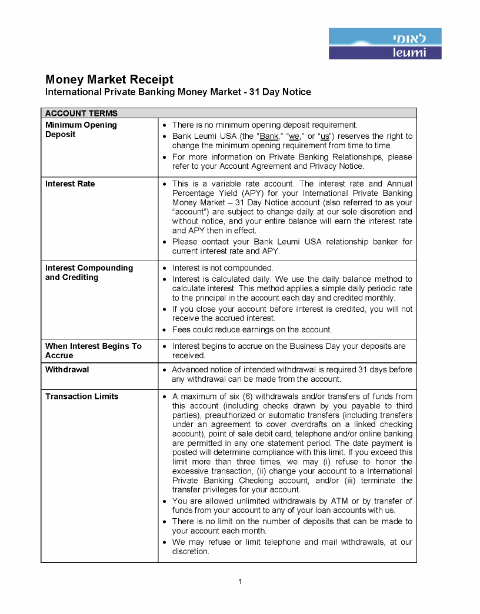 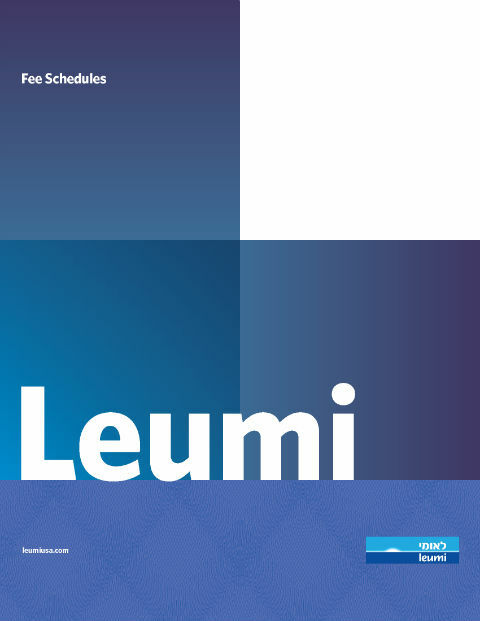 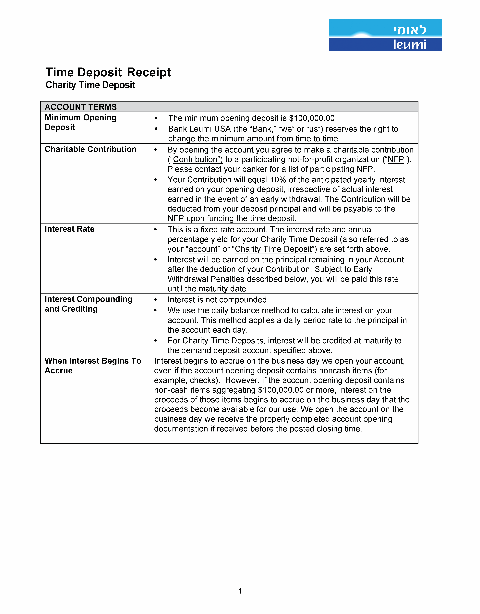 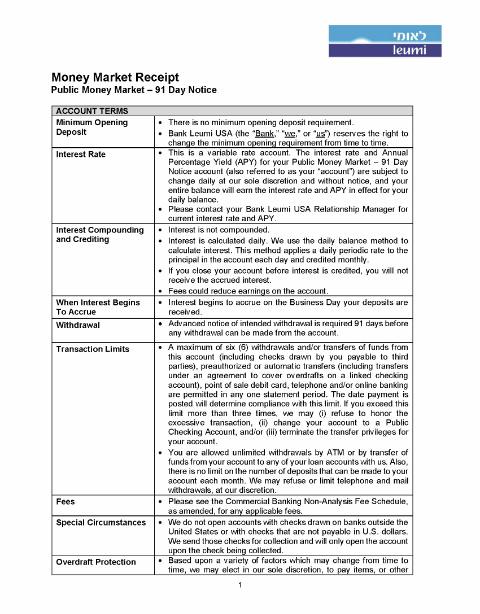 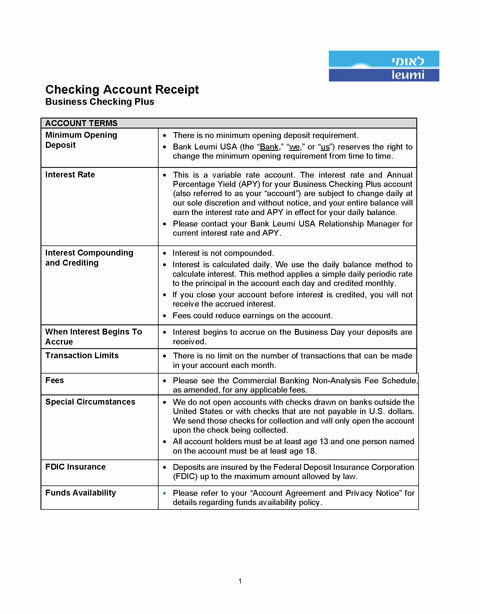 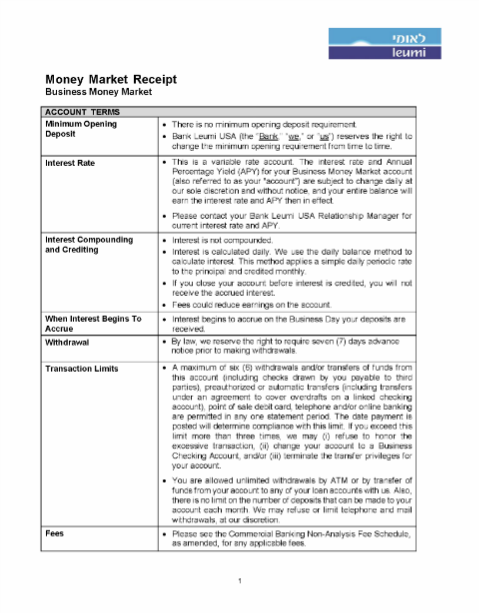 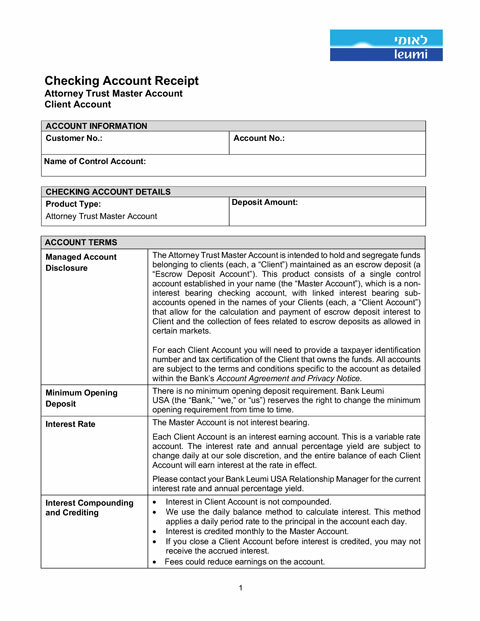 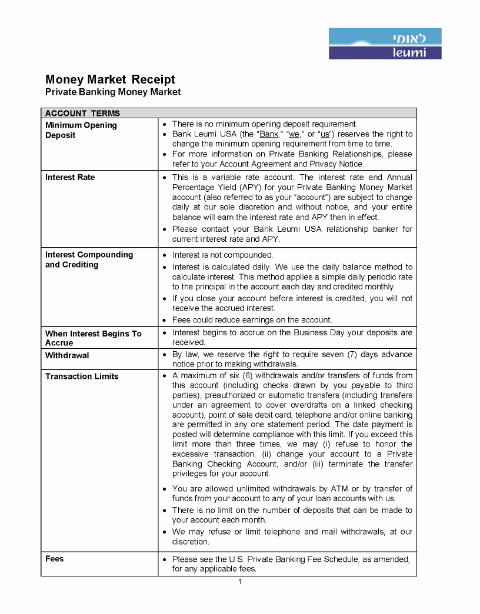 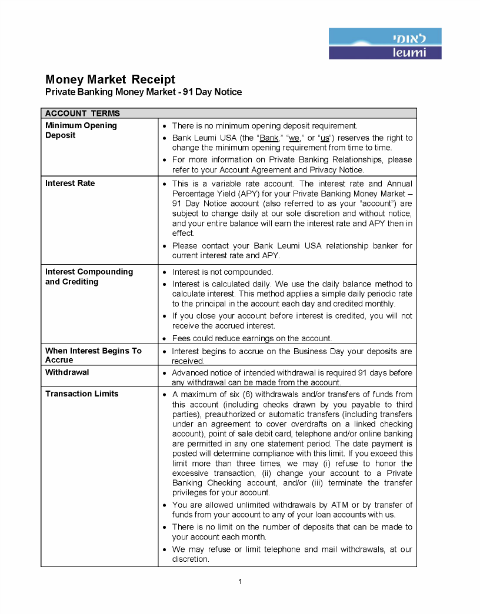 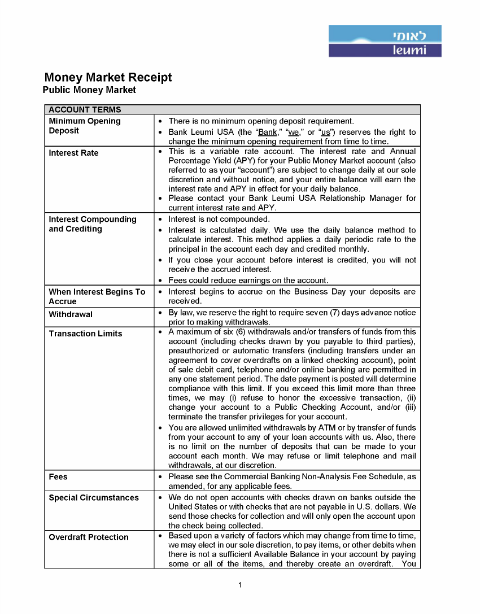 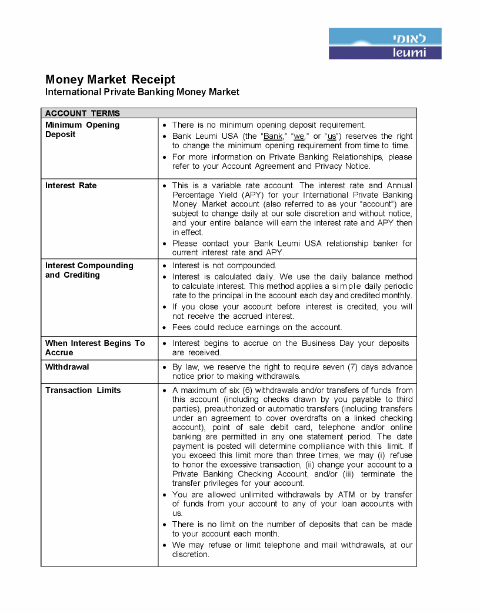 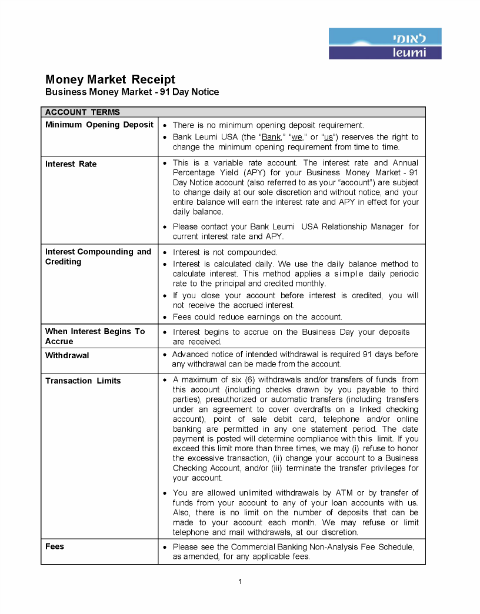 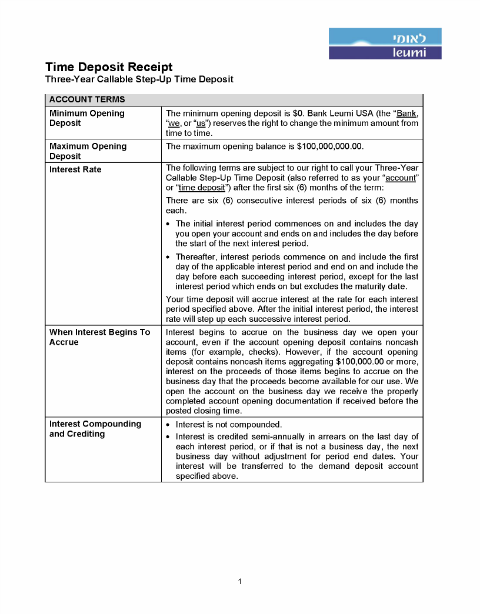 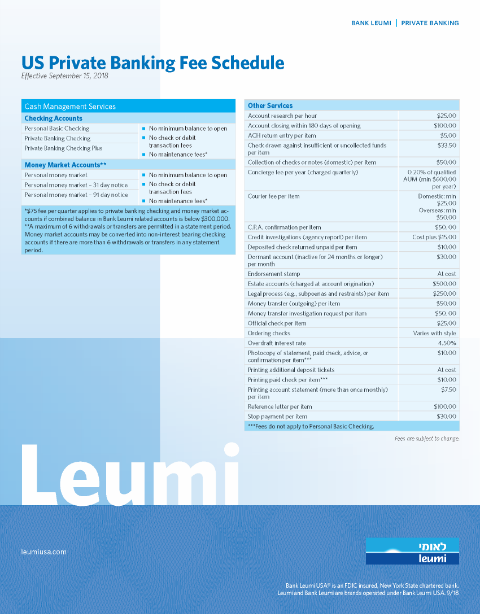 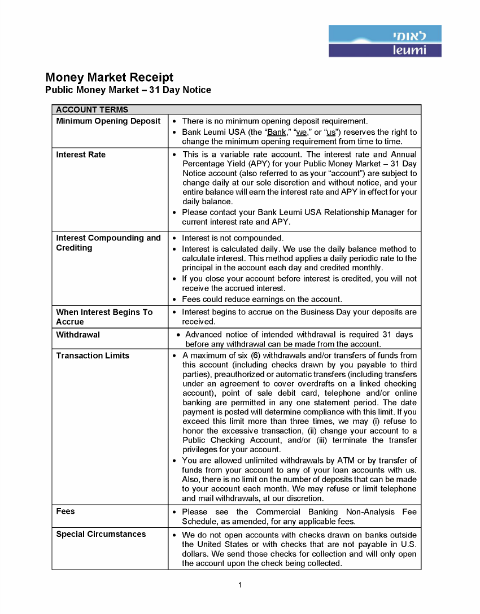 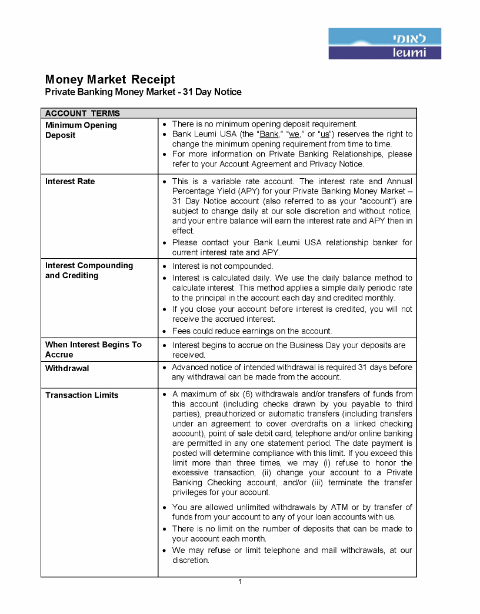 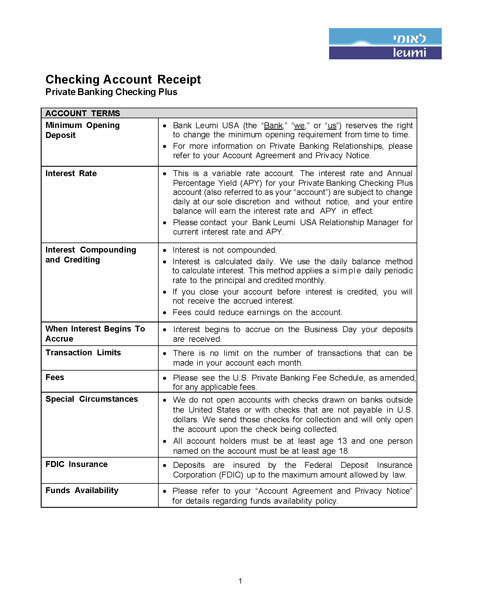 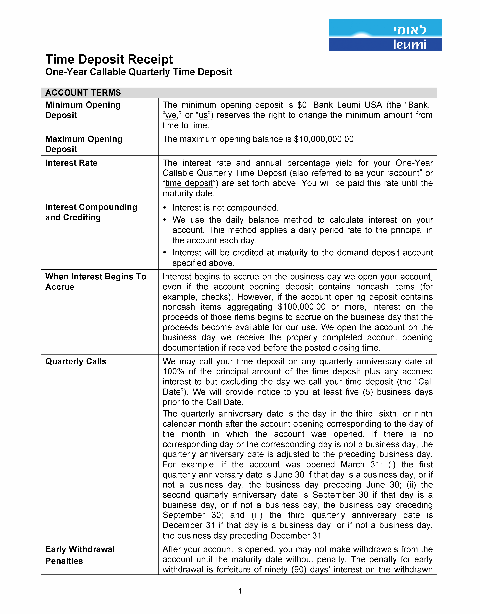 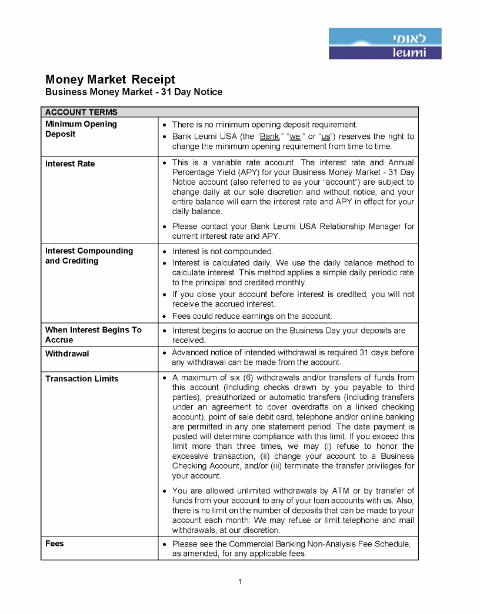 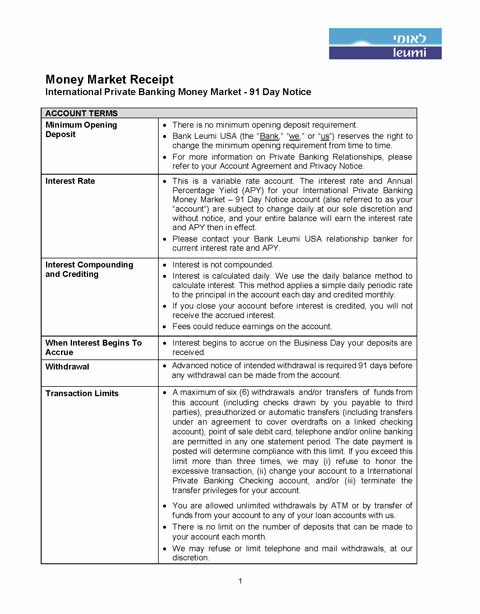 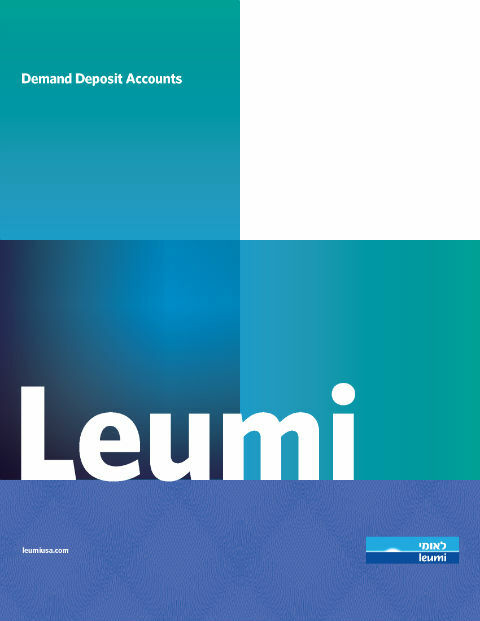 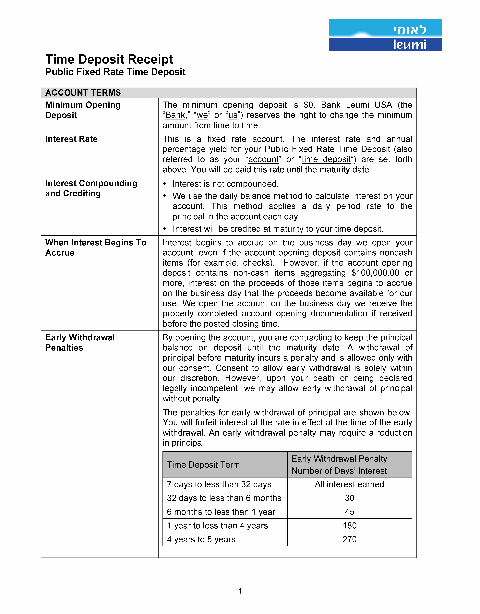 Additionally, Account Receipts and Fee Schedules provide specific terms and fees that apply to Bank Leumi’s money market, checking, and time deposit accounts. 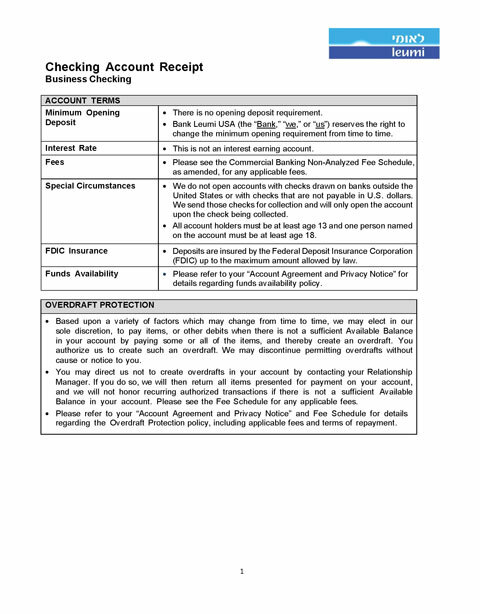 Please note that the Fee Schedule for commercial analysis accounts is not available for online viewing. 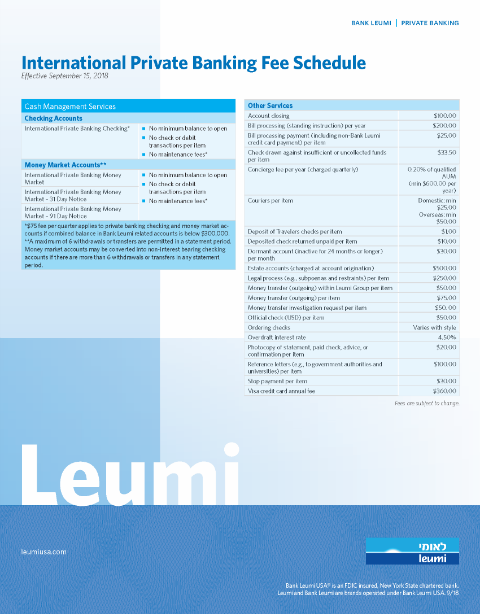 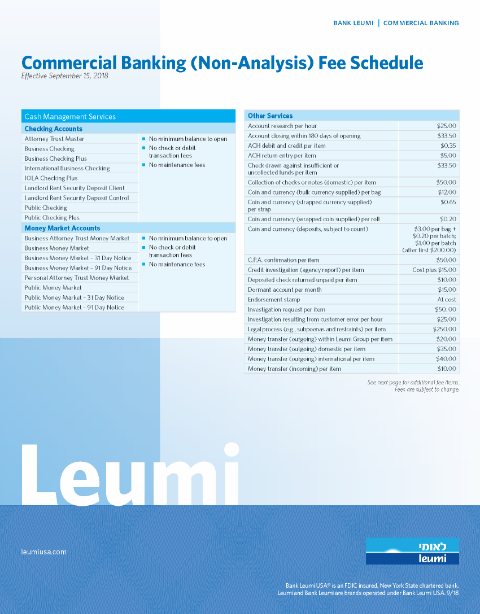 You may contact your Bank Leumi representative for more details. 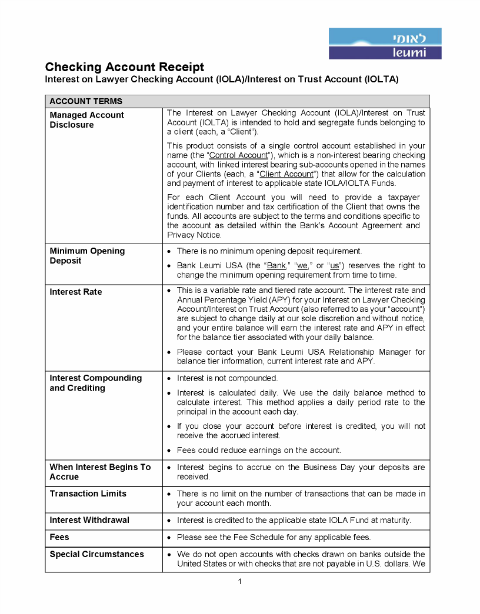 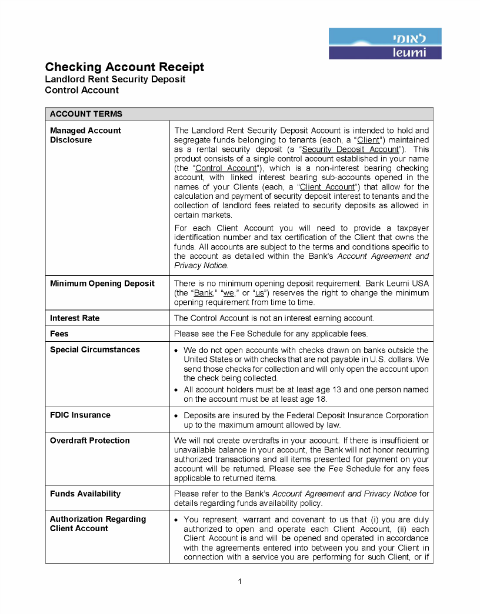 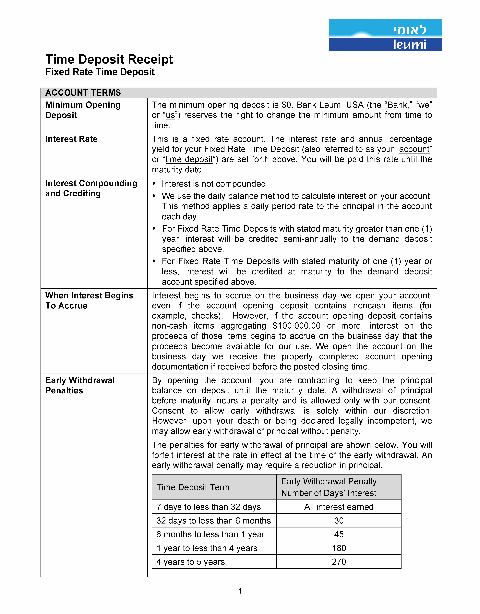 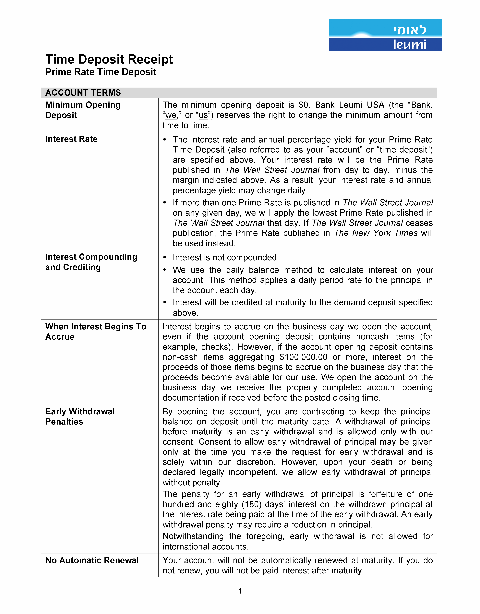 Please see below for other agreements that may govern your account and relationship with Bank Leumi.